I have been working on trying to crochet a star applique for a little headband. This crochet star ended up being too big but I wanted to share with you all anyway. I just decided these little stars were not little enough to work for newborn sized headbands but they would be great for other projects. Since it is getting close to Memorial Day and 4th of July, I thought this pattern may help some of you with projects you wanted to complete. 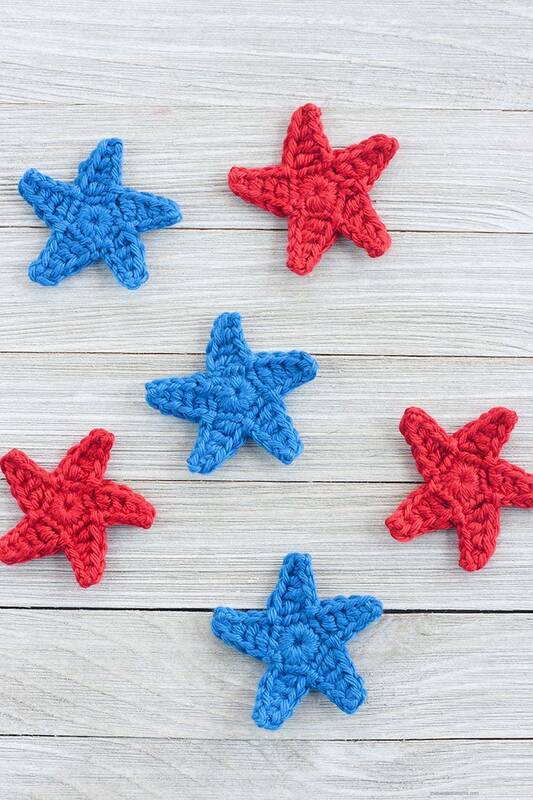 This crochet star is simple and it does not take long to make! You can easily crochet several in a sitting. When you are done crocheting stars, you may need to block them to get them shaped. I found mine curved when I made them. The stars measure approximately 3 inches wide – star tip to star tip. Round 1: Start with the magic circle. Chain 1. Single crochet 16 stitches. Pull your circle closed (but not tightly so you have room to work). 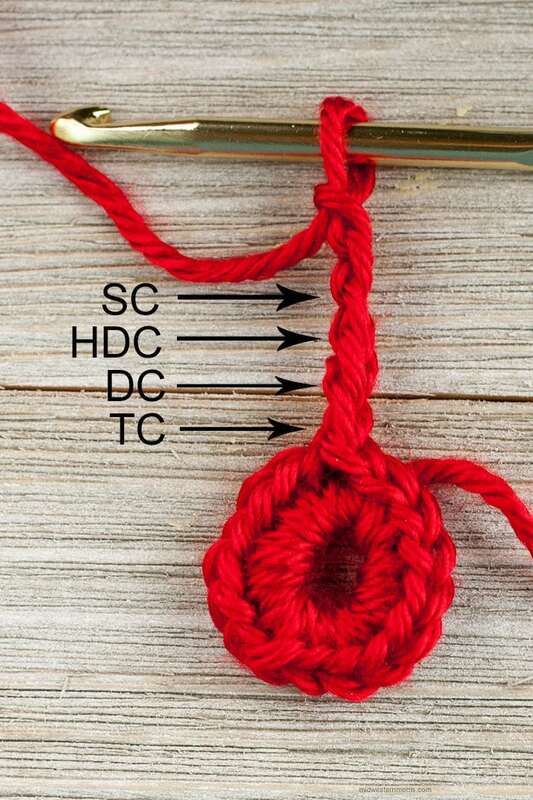 Slip stitch into the top of the first single crochet to join. Repeat from * to * for a total of 5 points on the star. Pull your magic circle tight now once the star is complete. Cut your yarn and weave in your ends. What fun projects are you going to make with this applique? I have a couple of project ideas in mind but first, I want to figure out how to make my headband. Back to the drawing board. Update: I finished the patriotic headband with stars! Yay! To get a printable version of this pattern, simple put your email in the box below and it will be sent to you via email.